I love this book, and I love the title – Heart Picked! Any family, adoptive or not, will get a warm and fuzzy feeling while reading it. Sara Crutcher, who was adopted at six weeks old, shares her beautiful, real-life story through “six year old Elizabeth and her parents.” The subject of adoption is introduced when Elizabeth is worried about Family Week at school; that the other kids will say she doesn’t look like her Daddy. Mom and Dad reassure her with love, and talk to her about why they are a family and how they show it. Elizabeth loves to be told that she was Heart Picked. There is a great video of Sara being interviewed by Cheryl Miller of WTVR’s Virginia This Morning. Take a look! You can also read more about her on the Author page of her website. And while you’re there, check out the tote bag with a big red heart and #IAMHEARTPICKED stamped on it. Sara’s vibrantly illustrated book, along with the tote bag is a great gift combo! And I am just green with envy, Sara! 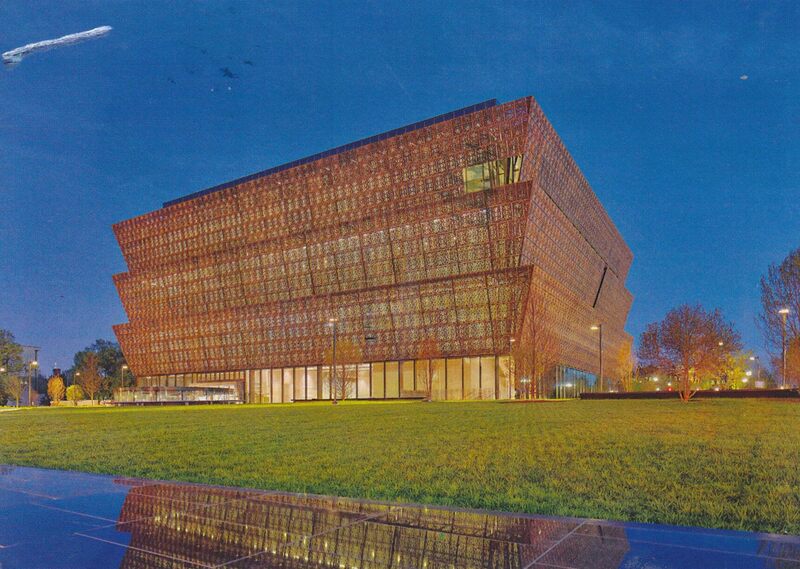 I haven’t been to the National Museum of African American History & Culture yet… but I will! 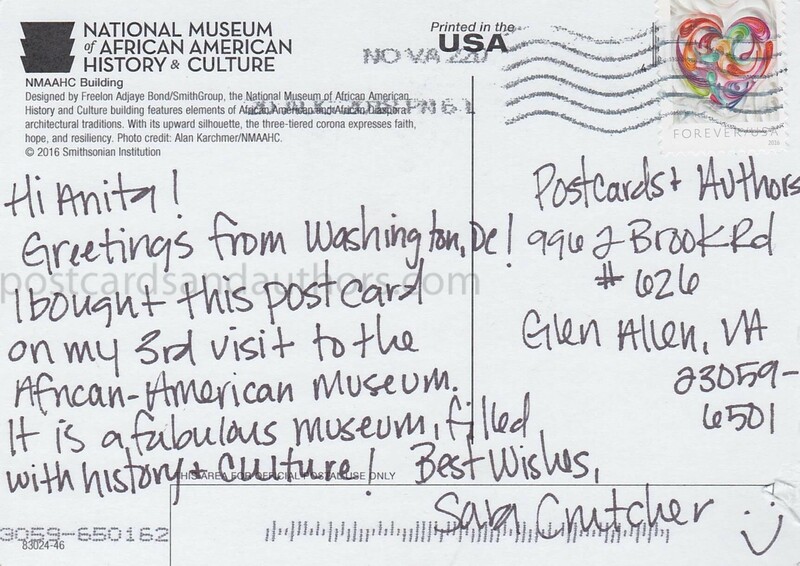 Thank you for the postcard and for inspiring me and others to get there.